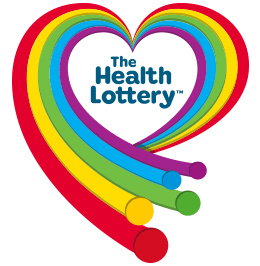 Want to check if you have won a prize at The Health Lottery? This page is all you need to check for the winning numbers. We present a comprehensive easy to use tool where you can quickly check if you have won a prize. It will enable you to compare the numbers on your ticket against the ones that were formally drawn. You will have to check at least three lines from the 150 draws in which each of them showcases a potential win. In case you have some queries or find it difficult to use the tool, the detailed guide with illustrations here can be accessed. You will be glad to know that this tool is free to use and there are no limitations attached to it. You will have to enter the desired data inside the respective sections and wait for the system to deliver results. It will take a few seconds for the results to be displayed and inform if you are among the lucky winners. The other advantage is that the moment you enter your numbers, it will automatically save it for future use making the process of checking a breeze. Finalize the number of lines to be checked. Pick the numbers you have bettedfor each of these lines. You need not be worried even if you might have entered more or fewer numbers than needed. Its upper section shows the number of missing numbers or the message saying COMPLETED. Now pick the number of lottery results recently declared for checking. You can also select all the draws or only the ones having a winner. Lastly, confirm the choice by clicking on the green button termed as CHECK RESULTS. Finally, after waiting till the system processes ll the numbers against the ones which were officially drawn, it displays them in a table. This table is easy to read and find out if you have the winning numbers.